As long as you still think that there is hope for you to be able to drink or use drugs safely again, you will not be able to fully commit to recovery. Sobriety needs to be something you fully embrace, so that you become willing to do the work needed to create a better life. If your plan is to stay sober for a few months or years in the hope that this will lead to safe return to substance abuse, you are just making things much harder for yourself. Why would you put sufficient effort into building a solid recovery if you only think this would be a temporary solution? Once you understand that recovery is your only option, it puts you in the perfect frame of mind to make this new life work for you. Some people entering rehab are so motivated that they are almost like an unstoppable force. These individuals have made their mind up to enjoy a better life and they will not allow anything to get in the way of this. With this level of determination, your success will be practically guaranteed. 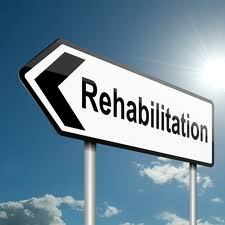 You will also be able to get the most out of rehab because you will want to make use of any tools that can help you. Honesty is vital if you want to be able to get the most out of a rehab programme. This is not only about being honest with the therapists but, even more importantly, with yourself. You are only ever as sick as your secrets, so it is only by talking openly about how you are feeling that others will be able to help you. There will be effective solutions to almost every possible problem, but you can only benefit from these solutions if you are willing to be honest. It is almost certain that people will have wronged you in the past and you may have suffered some unbelievable traumas, but resentment can easily derail your recovery. This type of anger only ever really harms you, which is why it is sometimes referred to as drinking poison yourself in order to hurt your enemy. It can be incredibly hard to let go of resentments, but all you have to do is be willing to try. During your time in rehab, the therapist can help you look at these issues. This is your opportunity for a much better future, so your willingness to let go of resentments will increase the likelihood of you having this happen. If you are going into rehab for a reason like getting your ex back, it can mean you are trying to use your recovery as a bargaining chip. This type of motivation for sobriety is weak because it means that even if your ex does take you back, you might feel you no longer need to stay sober because you have already achieved your goal. On the other hand, if she/he does not take you back, you might see this as an excuse to relapse. The whole point of rehab is to give you the opportunity to build a much better future, so you should not put any preconditions on your recovery. Some individuals enter rehab with the expectation that it is not going to work for them, so it is hardly surprising when they fail. This is because if people are not expecting something to work, they are not going to bother putting in the sufficient effort needed to make it work. It is vital that you believe that this treatment can work for you – there is no reason for why it should not. Those tending to get the most out of rehab are those who are highly motivated to begin building their own recovery rather than waiting for others to fix them. It means that you view the therapists and other rehab professionals as members of your team rather than expecting them to sort out your life. This level of determination means that you are already seeking out answers and finding support even before you enter the rehab programme. There will probably be things in rehab that you do not particularly like at first, or that sound a bit bizarre. If something does not work for you, it is perfectly acceptable that you do not want to use it. The problem is when you reject things without doing any real investigation into their effectiveness. If you want to be able to get the most out of rehab, you need to approach things with a ‘try and see’ attitude. It will sometimes be that thing that seemed less appealing in the beginning that ended up helping you the most. If you stop drinking but continue to live life more or less as you always did, your chances of a successful recovery are going to be low; even if you do manage to stay sober, you are not going to be able to make the most out of this new life. This needs to be a completely new start for you because if you keep on doing the same things, the same things are going to keep on happening to you. Giving up alcohol or drugs can get you back to where you were before you fell into addiction, but if life were that wonderful back then then you wouldn’t have fallen into addiction in the first place. It is best to see recovery as a completely new start where you will be able to create something much better than anything you have experienced before. This is important because it is only by creating a life that is much better than what you have now that you become willing to fight for it. Those who are trapped in addiction are always going to have many excuses for why they have ended up this way and why they cannot change. In order to escape this prison, it is vital that the person stops focusing on excuses and instead starts focusing on solutions. Becoming sober is all about taking a leap of faith. It means that you have the hope that by doing the right things you will begin to see improvements in your life. You will be taking a step into the unknown, but it should not be long before your willingness to do this is rewarded.